Here is the list of the hotels near Bassercles. Book your hotel near Bassercles today, Sunday 12 May for the best price, reservation and cancellation free of charge thanks to our partner Booking.com, leader in on-line hotels reservation. Below here is the list the 50 closest hotels of Bassercles, sortable according your criteria. You will find the position of these accommodations on the Bassercles hotels map. Bien Hetre provides accommodation in Fichous-Riumayou. Free WiFi is at guests' disposal. At the guest house, rooms are equipped with a wardrobe and a flat-screen TV. Every room includes a private bathroom, while certain rooms are equipped with a kitchen. Guest rooms have a seating area. A continental breakfast is available each morning at Bien Hetre. Pau is 26 km from the accommodation. The nearest airport is Pau Pyrénées Airport, 23 km from the property. La Maison d'Antan is a guest house located in Arzacq where guests can enjoy a garden and rooms with free WiFi access. Viewing the garden and individually decorated, each room at La Maison d'Antan includes a TV and a private bathroom with a bathtub or a shower, a hairdryer and free toiletries. Upon prior request, guests can share a local cuisine meal at the owner's table. Other facilities offered at the property include meeting facilities, a shared lounge and luggage storage. An array of activities can be enjoyed in the surroundings, including cycling and hiking. Pau is located a 30-minute drive away and its airport is 20 km from the property where free parking is available. Guest accommodation Lagor Preferred hotel ! Chambre Tout Confort offers accommodation in a private house in Lagor. All rooms have a flat-screen TV. Guests have access to a shared bathroom and shared toilet. Breakfast is free for children under 7 years old. Car hire is available at this homestay and the area is popular for cycling. Pau is 25 km from Chambre Tout Confort, while Dax is 48 km away. The nearest airport is Anglet Airport, 71 km from the property. Set in Pimbo in the Aquitaine region, Studio Bel Air features a terrace and mountain views. 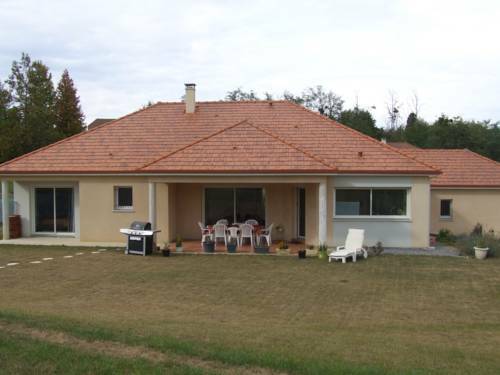 The property has garden views and is 39 km from Pau. This apartment has a fully equipped kitchen, a dining area and a satellite flat-screen TV. Mont-de-Marsan is 42 km from the apartment. The nearest airport is Pau Pyrénées Airport, 33 km from the property. Maison Bel Air offers accommodation in a private house in Pimbo. Free private parking is available on site. The room features a double bed, bedside tables and a wardrobe. Guests have access to a private external bathroom. Pau is 31 km from Maison Bel Air, while Mont-de-Marsan is 37 km away. The nearest airport is Pau Pyrénées Airport, 22 km from the property. House La dugue ouest offers accommodation in Montsoué. Pau is 49 km away. All units have a TV. There is also a kitchen, equipped with a dishwasher. There is a private bathroom with a shower and free toiletries in each unit. Dax is 45 km from House La dugue ouest. The nearest airport is Pau Pyrénées Airport, 39 km from the property. House Gîte de maynus is located in Montaut. Guests staying at this holiday home have access to a fully equipped kitchen. The holiday home comes with a TV. Dax is 38 km from the holiday home. Pau Pyrénées Airport is 69 km away. Below here is the hotels map of Bassercles. Names and details of Bassercles hotels can be shown on the map clicking on the prices icons.